The rocks that underlie North Carolina tell a story of almost 2 billion years of Earth history spanning the forming of two super continents, multiple rifting events, and the collision of multiple terranes. 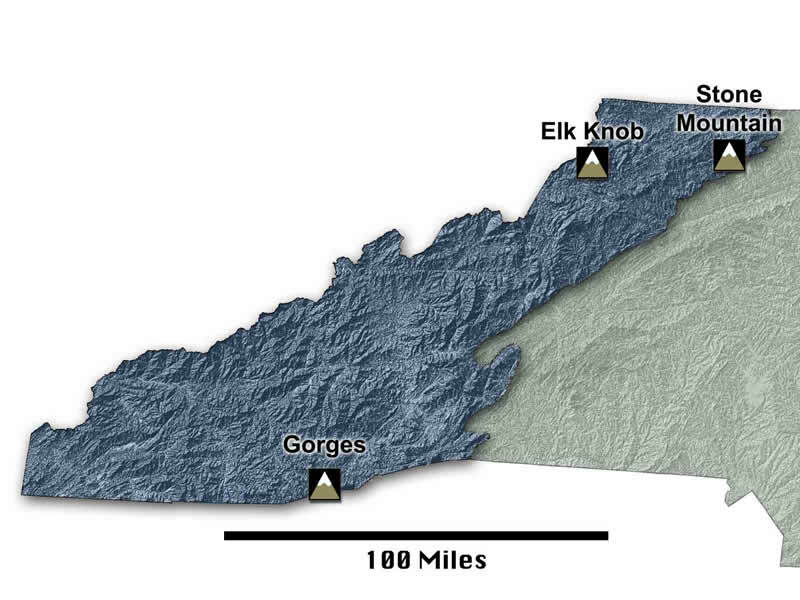 The mountains of North Carolina are home to the State’s oldest rocks that record the early history of the ancient North American continent (Laurentia) from its incorporation into the supercontinent Rodinia and its subsequent breakup. Other Geologic Educational Experiences in the Mountains.